Last year I wrote about a book titled How to Hygge (click here to see that post) that explained the Danish concept of cozy togetherness. Perhaps because this winter has been brutally cold, I wanted to explore the topic further and who better to read a book written by other than Meik Wiking, the CEO of The Happiness Research Institute in Copenhagen, Denmark. Wiking explains that Danes are usually rated as the happiest people in the world and attributes this happiness to hygge. 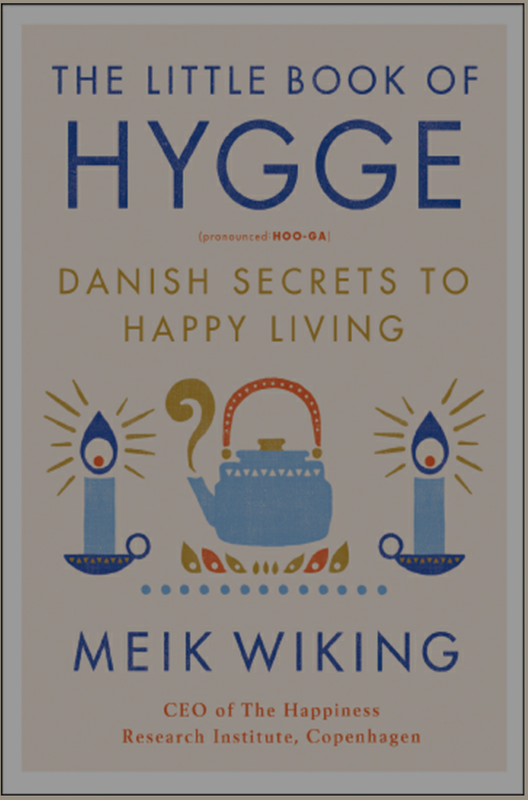 In The Little Book of Hygge, Wiking has a lot of suggestions for bringing hygge into one’s life-some of which include having low lighting, showing gratitude, consuming foods and drinks that bring pleasure, sacrificing for the good of the group and, most importantly, spending time with friends and loved ones. I love the concept of hygge, and in future posts, I’ll be writing about activities and things I’ve incorporated into my life that bring more hygge into it!